Yesterday marked the beginning of a new…thing–a food waste advice column! And so I give you the first installment of Dear Wasted Food Dude. The column will run on BioCycle‘s website and in BioCycle Food Recycling News, their fledgling e-bulletin that all “wasted foodies” should sign up for pronto! 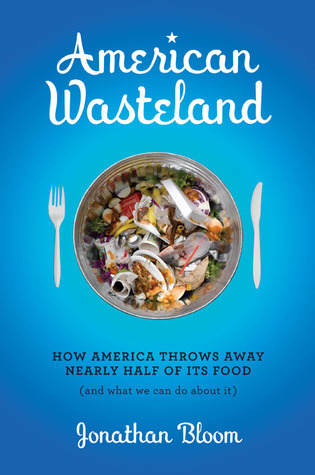 I will also crosspost the columns here on Wasted Food. I’ve been asked many questions on wasted food in many settings. I thought it was time to answer some in a more lasting format. With Judge John Hodgman as my North Star, I hope to pair a bit of serious advice with a humble brand of humor. I feel for you, George. You were curious. But you know what they say about curiosity? That’s right—it killed the cat. And you, my friend, are a cat-killing monster! Just kidding. It’s just that what you did was outside our culture’s accepted norms. Unfortunately, throwing away perfectly good food is quite common and individuals recovering discarded food is deemed odd. Most food recovery is done before food hits the trash and on, ahem, a slightly larger scale. Still, you’re not alone. Many folks engage in various forms of “dumpster diving.” Some even self-identifiy as freegans. For a variety of motivations—activism, money-saving, etc.— they all pull edible food from the trash. It’s a mix of self-interest and illumination of our culture’s waste. Recovering food before it hits the landfill occupies a higher place in the range of food waste-preventing actions, because that food can then be shared with those in need. And that is where I’d ask you to consider whether the impulse behind your microact might be better applied to an activity like volunteering with a local food recovery organization. Regardless, if you want to avoid odd looks and potential relationship squabbles, maybe avoid dumpster diving in your future mother-in-law’s house. But what you did was harmless and certainly not wrong. By the way, how’d the éclair taste? This entry was posted in Household, Wasted Food Dude and tagged advice column, BioCycle, Dear Wasted Food Dude, food waste, Jonathan Bloom, questions, Wasted Food. Bookmark the permalink. Both comments and trackbacks are currently closed.